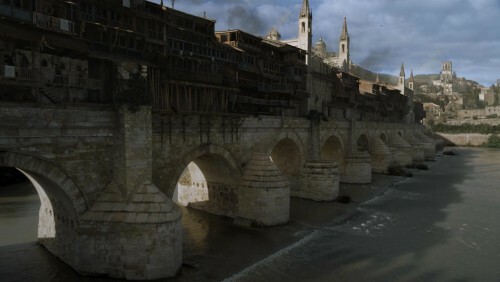 The Long Bridge of Volantis. This is a fine example of digital compositing, with the underlying Roman bridge of Córdoba (built in the firstt century BC!) being given buildings and towers to match the description of the bridge’s bustling, crowded structures. 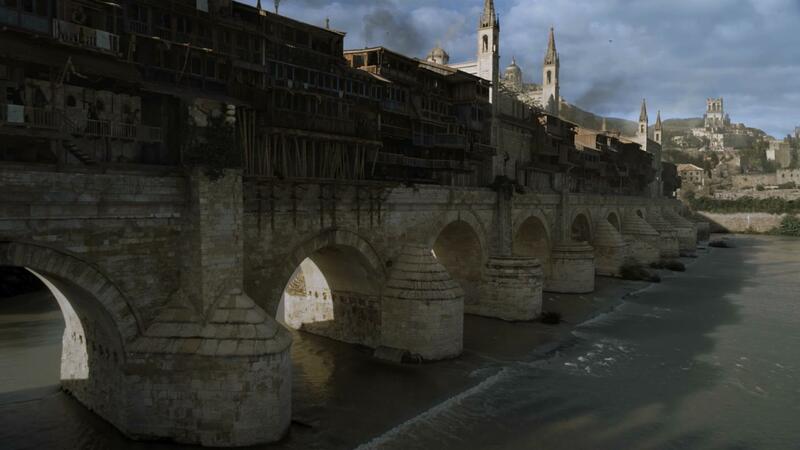 However, it should be noted that the Long Bridge of the novels is made of the fused, black stone the Valyrians used in many of their construction projects (including the Black Wall of Volantis). Both the bridge (which is accounted one of the man-made wonders of the world)and Volantis in the distance seem decidedly smaller than what has been described in the books.